Rewriting science history in the BBC News archive and erasing original content is a dangerous thing to do. One of the most basic things about journalism, especially BBC journalism, is that anyone should be able to find out what the corporation reported on a particular day about a particular story. Imagine wanting to find out about what Parliament voted for or what was the content of a UN speech, or the conclusions of a report, and not having full confidence that what you are able to look up is what was actually broadcast or written. The public does not have access to data held in TV and Radio News archives, but they do to the articles published by BBC News Online. Sadly if you want to know what article was published about a certain subject on a particular day you cannot be sure the BBC Online News website is telling you the truth for history might have been rewritten 1984 style if recent antics in its Environment section are anything to go by. The errors in the paper – related to its trend calculations – were obvious almost immediately, despite the paper having been peer-reviewed for nine and a half months. Mathematician Nicholas Lewis looked closely at the data and concluded that the errors in its measurements were significantly underestimated. The authors acknowledged the errors discovered by Lewis and a process of correction is underway between the researchers, Nic Lewis and the journal. So far, it has been a good natured affair and demonstrates the way science should work. At the end of the process everyone will know and have learned more. Science wins, but not all science journalists do. The first flush of coverage was far to unthinking and in general did not reflect the tentative nature of the debut of a new ocean temperature measuring proxy – i.e. the changing components of the atmosphere above it. Too much was simply copied from the press release and not enough questions were asked. As so often with climate research papers, there was no critical assessment of the paper and no questions about its extraordinary claims. Rewriting much of the press release was the usual technique that passed for journalism. The world has seriously underestimated the amount of heat soaked up by our oceans over the past 25 years, researchers say” (although it did say right at the end): “The uncertainty in the ocean heat content change estimate is still large, even when using this new independent method, which also has uncertainties,” said Thomas Froelicher from the University of Bern, Switzerland. 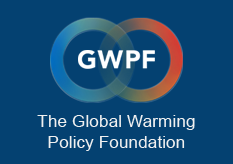 By November 7th it became obvious that the paper’s conclusions were wrong, as the GWPF highlighted in its press release. Two days later, Ralph Keeling, co-author of the flawed ocean paper, acknowledged the errors and a few days later thanked Nic Lewis for “bringing an apparent anomaly in the trend calculation to our attention.” Shortly afterwards the Washington Post and numerous media outlets in the U.S. published about these new developments reflecting that. But not the BBC. They did not address the issue until November 20th a day after the GWPF put out a press release suggesting that they should get round to it. The way they did it, however, raises serious concerns. Rather than writing a new story about these major developments they eradicated the original story and simply overwrote it with a new text, using the same URL. They left it in the archive there with no mention that they had removed the old one, meaning that the original report no longer exists except via the wayback archive. The world has seriously underestimated the amount of heat soaked up by our oceans over the past 25 years, researchers say. Their study suggests that the seas have absorbed 60% more than previously thought.They say it means the Earth is more sensitive to fossil fuel emissions than estimated. This could make it much more difficult to keep global warming within safe levels this century. Errors have been found in a recent study suggesting the oceans were soaking up more heat than previously estimated. The initial report suggested that the seas have absorbed 60% more than previously thought. But a re-examination by a mathematician showed that the margin of error was larger than in the published study. The authors have acknowledged the problem and have submitted a correction to the journal. The original story led the science news page. The “corrected” version, however, is hidden in the archive and not on the BBC’s live page, so few will see it and those that do will not get a chance to read the original article. It’s gone. The erroneous conclusions from the Resplandy paper are now “out there” and being repeated as fact. How are they to know the situation has changed if the retraction news is not placed in as prominent position as the original? Rewriting articles in the BBC News archive, erasing the original content is a dangerous thing to do, especially for a news organization with a reputation to uphold. What happens when you can’t trust the BBC archive, when there is a possibility that you are not reading an article as it was originally published but has been completely changed? It jeopardises BBC News’ standing as a journal of record. Researchers and historians looking into media coverage of climate change will be totally misled by this action. Search the BBC News archive for the Resplandy paper and see what you get. The BBC should restore the integrity of its archive, recover the eradicated BBC story, and publish the new post on its live science page.